You don't need to be fixed. You just need to be found. 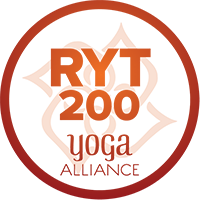 In October of 2018 I graduated from the Subtle Yoga Teacher Training and Personal Transformation Program (through the Subtle Yoga Training Institute) and received my 200-hour certificate and official RYT-200 designation through Yoga Alliance. What I love about Subtle Yoga is its focus on going slow and being mindful, its emphasis on promoting resiliency in the nervous system, on cultivating better communication between the hemispheres of the brain, and its inclusion of all the eight limbs of yoga, including pranayama (breath awareness) and meditation. I especially enjoy teaching yoga to really good music, which is why I created Album Asanas, a series of classes that feature different albums (usually in their entirety) as their soundtrack. Please contact me if you’re interested in attending one of these classes. Also please let me know if you’d like to incorporate yoga into therapy sessions. I am happy to share its many tools for mitigating anxiety, depression, trauma-related reactions, and more.